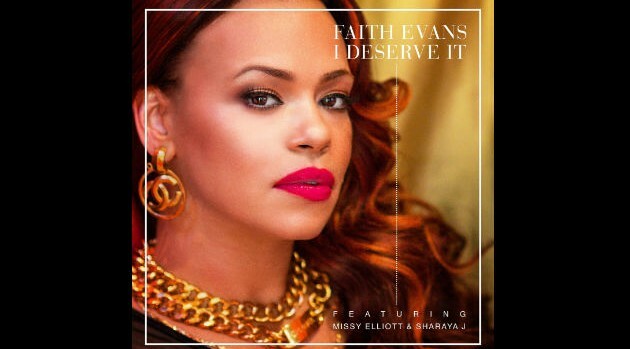 Prolific Music Group, IncFaith Evans declares her worth in her newly-released single “I Deserve It,” the first from her forthcoming album, Incomparable. The song includes guest verses from Missy Elliott and rap newcomer Sharaya J, who’s signed to Missy’s The Goldmind Inc. imprint. “‘Cause girl like me is worth it/Only want the best, because I deserve it,” Faye sings on the jazzy record. Faith’s eighth studio album is set to arrive later this year. The project will also feature contributions from Jazmine Sullivan and Karen Clark-Sheard.